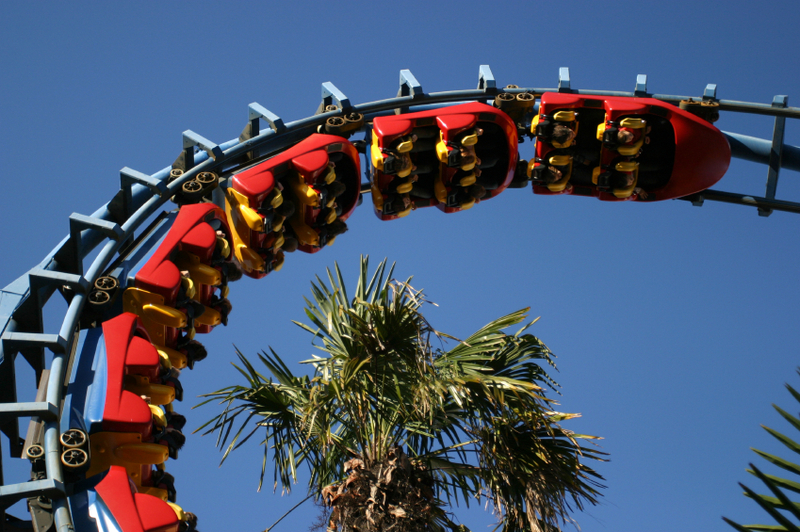 So what’s best part of a roller coaster ride for you? Is it the ascension – that nerve-wracking buildup when you know the coaster is painstakingly rising to the top of some ridiculous 300-foot drop that’s just ahead? Is it the stomach-churning feeling you get when the roller coaster is going loop-de-loop or speeding along the track at a breakneck pace? Or perhaps you enjoy the ending of a roller coaster the most, the moment when you’re in that cart and you slowly grind to a close, grateful in the realization that you survived. You didn’t have a heart attack. You didn’t fall out of the ride. Nor did you wet your pants (hopefully). The interesting thing about roller coasters is that no matter how exciting, terrifying or fun they may be, nobody ever asks to get off the roller coaster. (Well, almost no one). Likewise, when most people find themselves on a financial roller coaster, they act as if they’re powerless to change course and remove themselves from a potentially crazy economic experience. A financial roller coaster is that up-and-down emotional extreme that many individuals experience when their money problems emerge – either consciously or subconsciously. So for anybody who’s ever had financial woes, here’s a look at how the financial roller coaster manifests itself. The following applies to anybody: people with jobs or without; those with money and those who are constantly broke; individuals deep in debt or those flush with cash. Everybody goes through this at some point in life. Denial – you act like everything’s OK. You just keep going on as if all is well. Don’t worry about anything, you tell yourself. Any day you don’t wake up six feet under is a good day as far as you’re concerned. Frustration – You’ve got that overwhelming feeling of being in a pressure cooker. You get mean and snarky and you have a sharp tongue. You fall into self-destructive behaviors: binge shopping or binge drinking. Maybe you over-sleep to avoid life. But you’re generally in a bad mood and you act out because of your financial problems. Anger – You’re ticked off at your employer, spouse, kids, the tax man, the government, your neighbors … basically you’re angry at anything that moves, or doesn’t move fast enough. You feel that life has dealt you a bad hand. And you’re mad that you aren’t where you think you should be financially at this point in your life. Despair – You’ve thrown in the towel. You feel like there’s nothing you can do to get out of your economic predicament. You’re accepted the fact that you’re not going to get that raise, and that lottery scratch-off ticket is not going to be your way out. You feel that your prayers have not been answered. You’ve just given up. You’re merely waiting to die. You just feel like you’ve screwed up and you’ve got to lie in the bed you’ve made and deal with it. You think you’ll just end up in a nursing home just existing, and your gift in life is merely being alive and that’s all there is to it. Despair is frustration without emotion, sometime calls ambivalence. Regret – You spend an excessive amount of time going down memory’s long lane. You keep pining away for “the good old days.” You think about every high point in your past and how much better you felt back then. Like a dream turned into a nightmare, you think about every mistake you made. Your memories get destroyed. No pleasant memories, you’re only got good moments. You kick yourself over what you did or didn’t do in the past to contribute to your current economic plight. So how can you get off the financial roller coaster? The first thing is to recognize the highs and lows – and to consider whether you’re consciously or subconsciously addicted to the thrills of those extremes. You next need to figure out how to “smooth” or flatten out the extremes in your financial life. For example, why do you keep loaning money to others or over-spending when you know you’ll regret it in just a few short weeks or months? That’s the equivalent of hitting yet another low on your financial roller coaster. 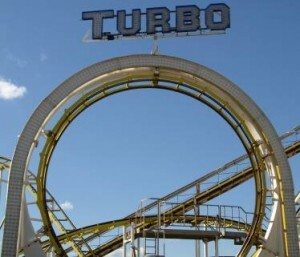 Maybe “smoothing out” this part of your financial roller coaster would be too boring. Maybe having a calm financial life would seem” too quiet” or “not normal” to you, and you’d jump off that peaceful roller coaster and seek the next exhilarating adventure. The problem is that when you get to a certain age you don’t want to experience life’s highs and lows. You just want stability. Especially financial stability. You don’t want to feel like you’re at life’s financial blackjack table. So the next time you find yourself on life’s financial roller coaster, why not reach out and ask for help? Some of you might even scream for help. Just try not to shock your spouse, family member or co-workers by going completely off. You could just as easily make a calm request for help – by doing something like getting a financial advisor, seeking credit counseling or calling your student loan company to get those dreaded student loans out of default. The bottom line is that you might need to close your eyes for a moment, hold someone’s hand if necessary, or even flat-out cry – just like you might on the most terrifying roller coaster you’ve ever ridden. But in the end, you can ask someone for help to get off the financial roller coaster. You can be proactive about your situation, and you can turn things around. Ultimately, though, if you find yourself screaming about your predicament, ask yourself this: Are you screaming out of fear and despair, or out of excitement and happiness? If it’s the latter, you’ll know that you’ve at least taken off that seatbelt in the roller coaster. Now you just have to step out of the wild ride you’ve been on – and exhale.